This is Richard Ford's fourth novel, written in 1990. He is perhaps better known for Independence Day, which won the Pulitzer Prize and Penn Prizes. ford is often compared to Faulkner or Hemingway in that he holds a mirror up to American society and we see reflected in it and in the lives of the characters he creates, both the universal human condition and that of America's ordinary people. Wildlife is characterized by clear, tight, poetic, if a somewhat distant, narrative style. This reflects the overarching theme of the futility and sterility of unfulfilled lives. The story is set in 1960, and is told in the first person, by Joe Brinson, a young man living with his parents. Like many of Ford's creations, he is caught at a moment of transience, having recently moved to Great Falls and not having made many friends. His father Jerry has recently lost his job, and becomes a fire fighter. He is sent off to fight a raging forest fire. In the few days he is gone, Joe's mother has an affair. The natural disaster serves as metaphor, too, for the explosive passions that the family must share. 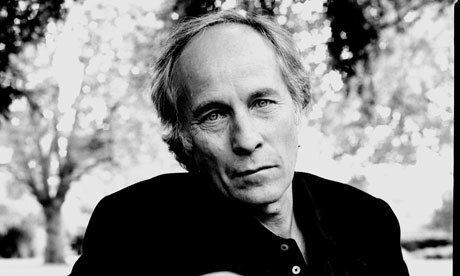 Richard Ford was born in Jackson, Mississippi, in 1944, the only child of a traveling salesman for a starch company, and was raised in Mississippi and in Arkansas. He went to college at Michigan State University, where he met Kristina Hensley, to whom he has been married since 1968. Ford attended law school very briefly before entering the University of California at Irvine, where he received his M.F.A. in writing in 1970. After publishing two novels, A Piece of My Heart (1976) and The Ultimate Good Luck (1981), Ford took a job writing for Inside Sports Magazine. When the magazine was sold, he decided to write a book about a sportswriter; the resulting novel, published in 1986, received widespread acclaim: it was named one of five best books of 1986 by Time magazine. 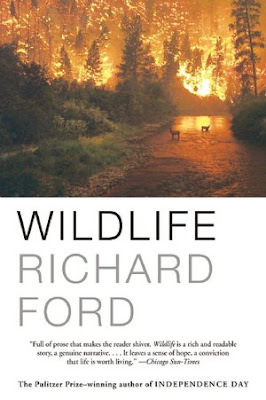 The Sportswriter was followed by Rock Springs (1987), a highly praised book of short stories, and in 1990 by a novel set in Great Falls, Montana, called Wildlife. His previous novel, Independence Day, won the Pulitzer Prize and the PEN/Faulkner Award for fiction, the first novel ever to win both awards. In addition to his steady production of fiction, Ford has also taught writing and literature at the University of Michigan at Ann Arbor, at Princeton University, and at Williams College. Ford lives in New Orleans, Louisiana, where his wife, Kristina, is the head of the city planning commission. He travels frequently and also spends time on a plantation in the Mississippi Delta and at his cabin in Chinook, Montana. What books we like to read?